At Baty Angus Ranch we pride ourselves in our ability to work with animals and to have animals work with us. We require our animals to be efficient and well trained. Any horse's we will be offering off of our website will be registered, as well as geldings, and ready to go to work! We will offer horses we ourselves have rode for an extensive period of time and know their abilities as well as their holes. We will be honest with the the horse's we sale and you will not go home disappointed. Gringo is a 8 year old Palomino gelding who stand 15.2 hands and is broke. You can do anything and everything on this horse. He is a finished head horse, he can breakaway and he even doesn't mind jumping in the heel box every once in a while. This horse is ready to go with anything you could throw at him. He is not a kids horse. He is a very fast walker, he doesn't prance just walks fast and is tough as nails. He has no problems climbing a mountain and is as sure footed as they come. This is a nice gelding who will take you far. Jorge is a great horse with lots of speed and athleticism. I will be roping and barrel racing on him at the RMPRA rodeo in February. We have started roping on him once a week at a local indoor arena. He is solid on barrels, knows the pattern, turns hard and is ready to go. Jorge has done a lot in his 6 years of life! 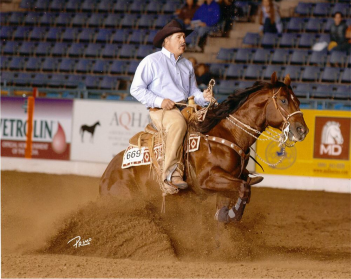 His sire, Nu Freckles Cody, has $70,000+ LTE in reined-cowhorse events. He is 15.2 hands built to do ANYTHING and with his amazing athleticism he will take you far. Jorge is hooked to cows; we have headed on him, recently heeled off of him and breakaway roped. He has also roped a lot of calves branding. He is easy going and great in the mountains. I've done everything from pick up kids off the ground to water gun fights on this horse. He has even played horse basketball. He is incredibly fast and agile like his sire. We are firm on the price of this gelding. He doesn't have any quirks. He did get caught in some barbed wire a few years ago and has some scars on the inside of his hocks. They do not inhibit him in any way and he is sound. The sale price is set at $5500. This price in non-negotiable and will go up as he continues to progress. SERIOUS INQUIRIES ONLY. As much as we love to talk horses, this time of year is very busy for us and we may not have the time to show him to "casual horse-buyers"! Thanks ahead of time.